©Hanna Rose - Author "The Loving Tree"
Eight-year-old Hannah Rose has the answer. Hannah wanted to share an inspiring message of hope to kids just like her, and she created a story of self-esteem and friendship. The Loving Tree is Hannah’s first book, and it’s a story of a young orphan girl in the care of a grumpy old man. The girl is eager for a real friend, but doesn’t believe that anybody will ever like her. Then one day she meets a magical Loving Tree, and begins to learn the true meaning of friendship and love. 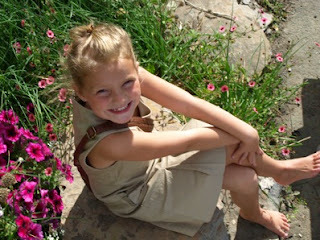 Hannah Rose will be holding book signings and doing interviews this fall, perfect for the whole family. Join Hannah in helping kids everywhere to understand they’re all unique, and all worthy of love. 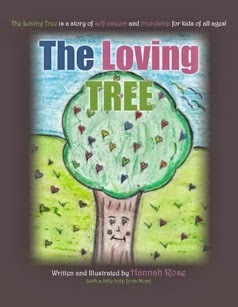 Hannah would be happy to pay a visit to read The Loving Tree to your school or organization. Please contact Sean Liv for more information. Here's Hannah at her book signing at Chapters in Chinook Centre. Remember that song from Whitney Houston "I believe the children are our future. Teach them well and let the lead the way." Hannah Rose you are a remarkable young lady! I can't wait to read more books from you! YAY Hanna, I am so proud of your accomplishment, and I loved your book! Congratulations Hanna.